HAPPY NEW YEAR! I cannot believe it is already 2014! 2013 just flew by. I hope everyone had a good night celebrating and bringing in the New Year. I celebrated with my cousin, brother and Dad just having food and drinks at home. Was absolutely lovely, however I'm making it my aim to go to London for the fireworks next year! But anyway, before I ramble one let's get into the point of this post. If you follow me on instagram and twitter then you will know I had a bit of a pamper evening last night. I never have baths as everything in my household is quite fast paced so I never really get a minute to myself. It just got to that stage where I needed to relax and calm myself a little bit. I'm glad I made that decision as I had the loveliest bath in the world. I will now take you through each stage of my beauty/pamper evening. This post is going to be a bit long and a bit photo heavy so please bear with me. The first and most important stage, for me anyway, of a pamper evening is setting the mood. A pamper evening is supposed to be relaxing. What better way to feel relaxed than lighting a few candles? I lit a set of three rose scented candles that I bought from Ikea a couple of months ago and I absolutely love them. I'm not a massive fan of rose scented things but these aren't too overpowering and were super relaxing. I then started to run my bath and got together the first few items I would be using throughout my pamper evening. Before I get into the bath I decided to wash my face first. I didn't actually go out anywhere yesterday so I didn't put any make up on however I still like my face to feel clean so I just used this hot cloth cleanser by Liz Earle. 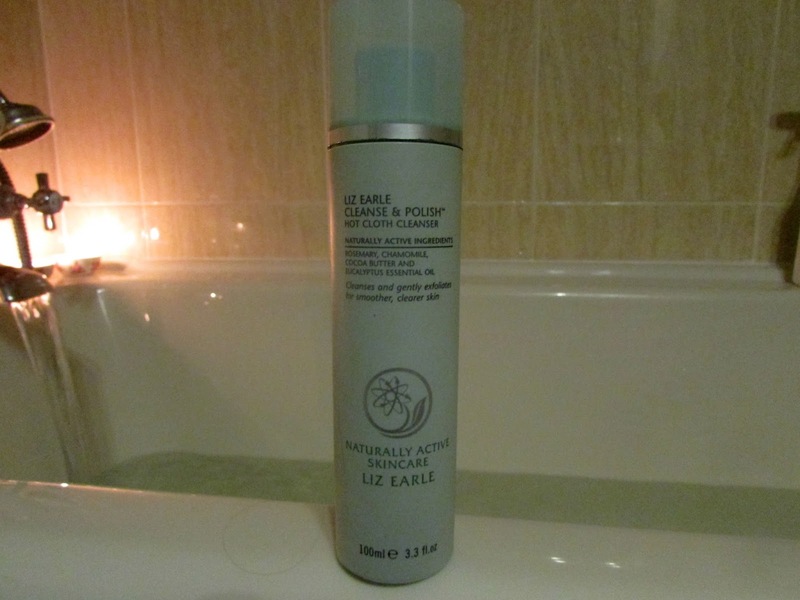 I love this cleanser as it leaves my skin feeling so super and squeaky clean. After I finished cleaning my face I then decided to get together all my other beauty bits and bobs I would be using and popped into the bath my Santa Bath Bomb that I had been dying to use and the lush Snow Fairy Bubble Wand. How amazing is the color of the bath though? I expected it to go a light pink shade, not a bright green but I absolutely loved it. This was my first time ever using a bath bomb so I was super impressed and will definitely be purchasing a few more throughout the year. The snow fairy bubbles were added in after the bomb had finished de-fizzing and it smelt absolutely 'lush' - pun not intended. 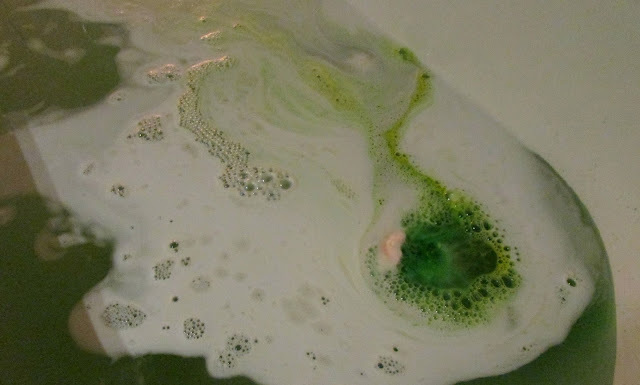 The next stage after the bubbles and bath bomb have been added is to obviously get into the bath. 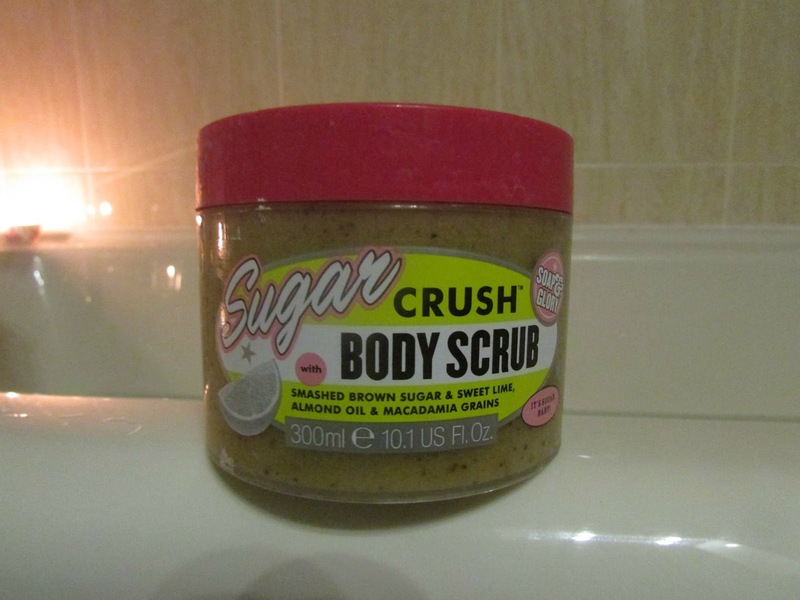 Once I was in I decided to use my favorite scrub ever which is the Sugarcrush body scrub from Soap and Glory. This smells absolutely incredible - think lime and brown sugar. This leaves my skin feeling amazing. I then followed up with my Original Source Vanilla and Raspberry shower gel. This is my favorite shower gel in the entire world. 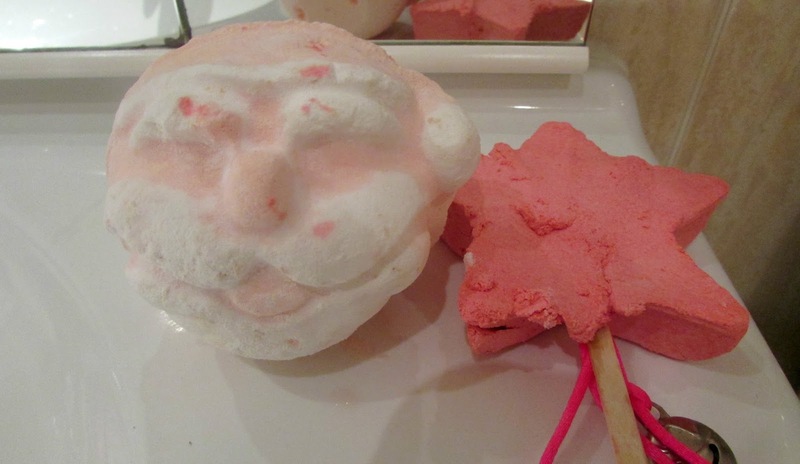 It smells amazing and really leaves my skin feeling squeaky clean and soft! I love how the scent lingers even after you've left the shower/bath! Once my body was scrubbed and washed I decided to play games on my iPad. Not the wisest idea when you are in the bath. Oops. 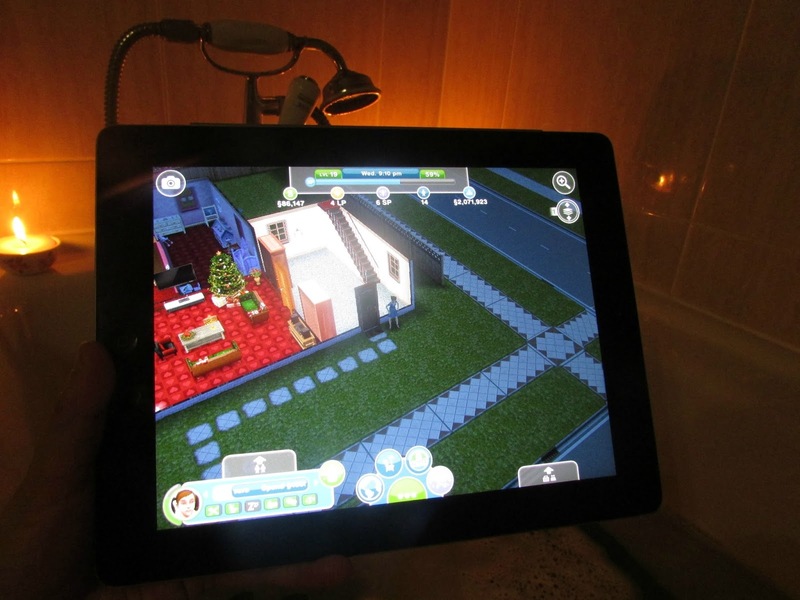 But anyway, the game I chose to play was The Sims Free Play. I'm obssessed at the moment and currently in the middle of a few quests. As you can see from above I made my sim's house all festive looking. Don't judge! After I had chilled and relaxed a little bit I then decided to wash my hair. Now don't worry I obviously didn't use the bath water. I started to empty the bath and use the shower for my hair. I absolutely love the Johnson's baby shampoo. It leaves my hair so clean and gets rid of all dandruff that might linger there. The lavender scent is so incredibly relaxing as well! 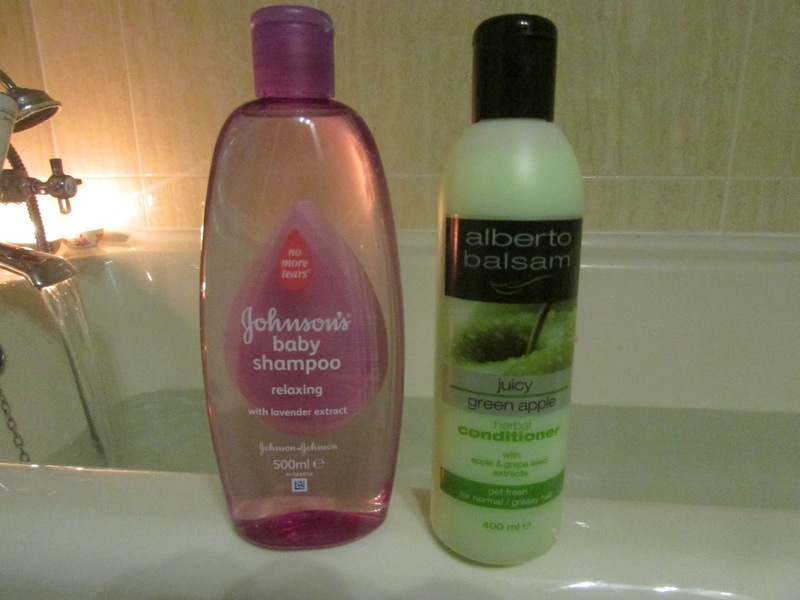 I then followed up with my juicy green apple conditioner from Alberto Balsam. This stuff smells amazing and leaves my hair so soft and gets rid of the split ends at the end of my hair. I love that the apple scent lingers as well. 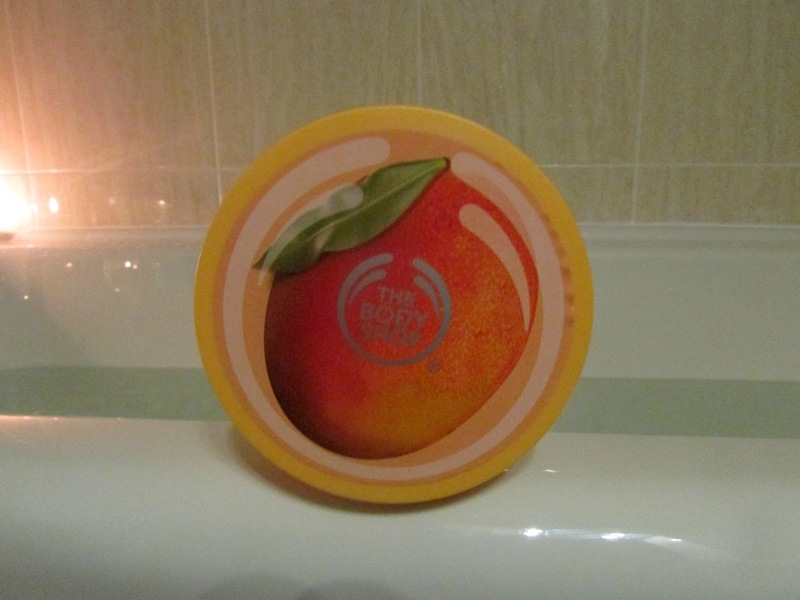 Once my hair is all washed and clean and the bath has been emptied I then dry and moisturize my both with my favorite moisturizer in the world which is The Body Shop's Mango Body Butter. This moisturizer is amazing. The Body Shop in my opinion do the best moisturizers as they aren't greasy and they also don't take forever to sink into the skin either and yes the smell is absolutely incredible again. You all know I love me some mango scents! Once my body is moisturized, I then got dressed into my New Year's Day PJ's which is a tradition in my family and I'm sure other families as well. 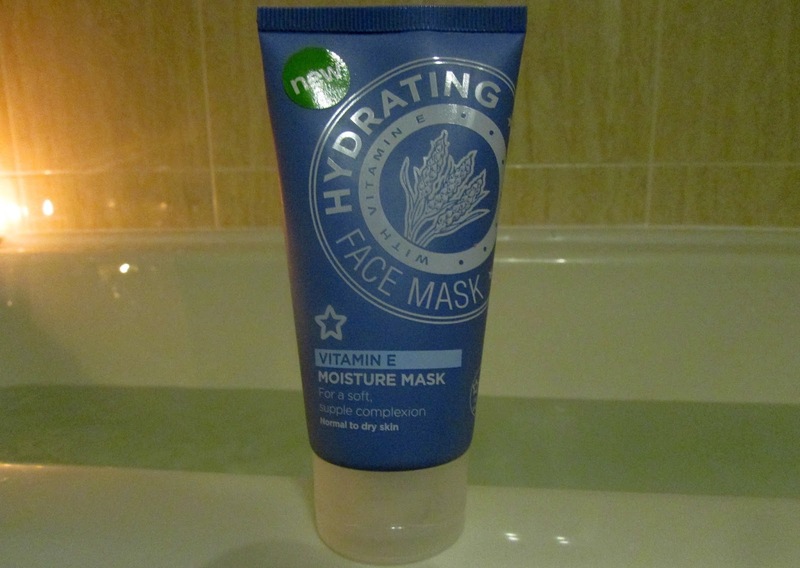 I then decided to do a face mask just to get rid of any nastiness on my skin and make it feeling soft. I leave this on for around 10 minutes, wash off and then follow up with my Vitamin E night moisturizer which I totally forgot to photograph so I'm really sorry about that! Once this was done I then decided to paint my nails. 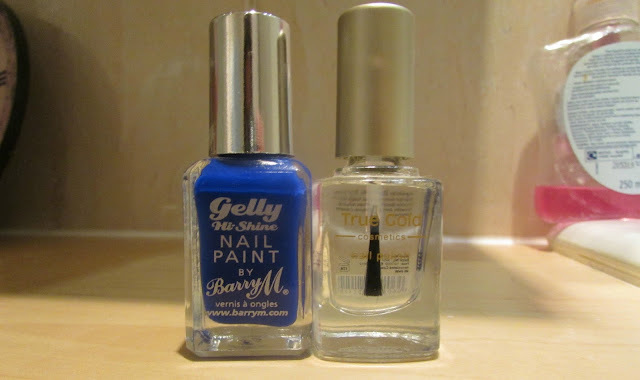 I used the true gold cosmetics clear base, followed up with the Gelly Hi Shine Nail Paint in Blue Grape and then followed up with the true gold cosmetics base coat. The clear base and top coat is a 2 in 1 product in case you were wondering why I only photographed one. Once my nails were done that was my pamper evening complete! I then watched Father Of The Bride with my cousin, mum and brother and then went to bed! 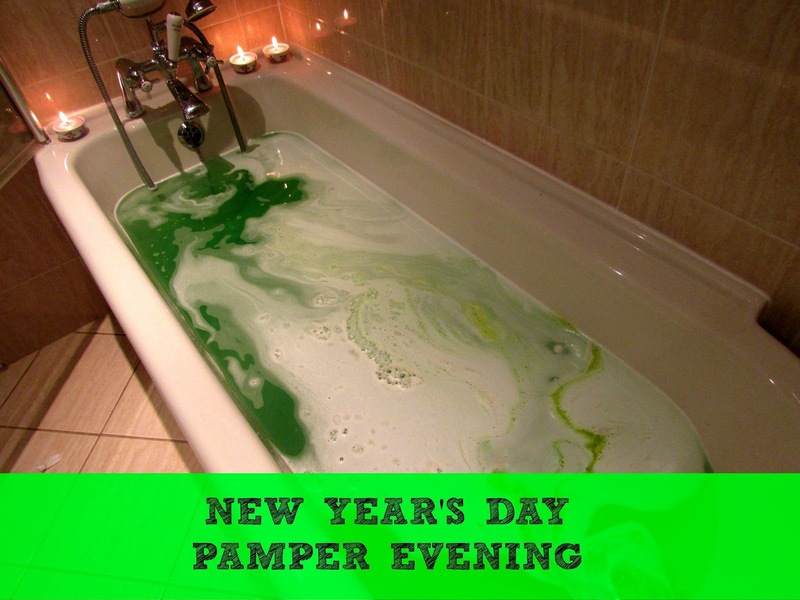 I love having relaxing pamper evenings like that and I really couldn't think of anyway else to spend the first day of the year! Cleansing your body and making yourself relaxed to face the rest of the year! Perfect. Please let me know in the comments section what your pamper evening essentials are. If you have done a post like this then please leave it linked at the bottom and I will certainly check it out as I really enjoyed writing this post. Probably one of my favorites to do. I hope you had a wonderful first day of 2014. Good Luck for the rest of the year! I love Lush bath bombs, I got a few today that my daughter picked out!